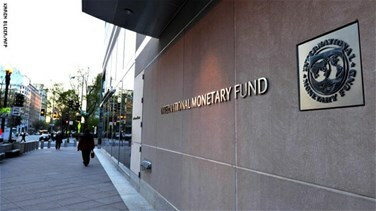 Lebanese authorities have not asked the International Monetary Fund to provide funding, despite the country's high debt, the IMF's regional head told Reuters on Monday. Lebanon has some of the world's worst debt and balance-of-payments ratios and recently spent more than nine months without a government it needed to enact long-overdue reforms. Concern grew over the state of the economy and government finances as the impasse dragged on. "We have helped them, for example, to set up a framework for investment management to make sure public investments are done properly," said Jihad Azour, the IMF's Middle East and Central Asia director. "But the Lebanese authorities did not request program funding." Lebanon's ability to dodge financial disaster has for years confounded critics. Warnings of debt defaults, balance of payments crises and a collapse of the pound currency have all failed to materialize. After nine months of wrangling over cabinet portfolios, Lebanon's politicians formed a government at the end of January. Beirut has said it will enact reforms to avoid a worsening of economic, financial and social conditions. Azour said the formation of the government and the government's commitment to address not only the infrastructure but also the vulnerabilities in the economy were positive signs. "The next step is how to strengthen the credibility by moving fast" on the fiscal side and on structural reforms, he said. The country also needs to address social protection issues, which have led to a "deterioration" of citizen confidence in the system, he said. Lebanon needs "well-articulated and decisive moves" on reducing the budget deficit, Azour said.